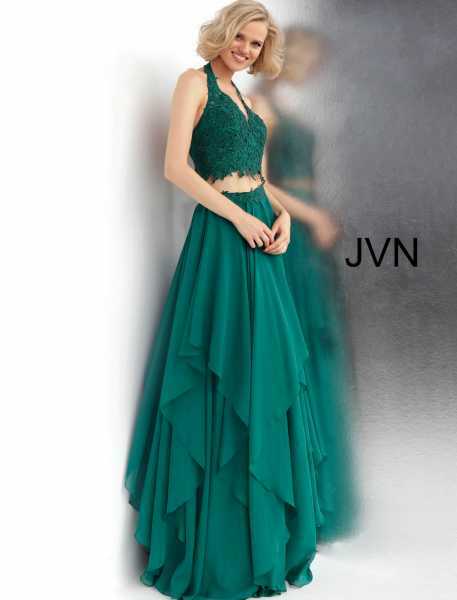 Move freely while wearing this Jovani jvn62421 2 piece dress. This dress has a halter neckline and the top is completely lace. The top ties in the back and the skirt zips in the back. The skirt is layered and it is made from the chiffon material. The 2 piece dresses are the latest trend. This dress is a must have!